This forecast was published 03/25/2019 at 7:01 AM. 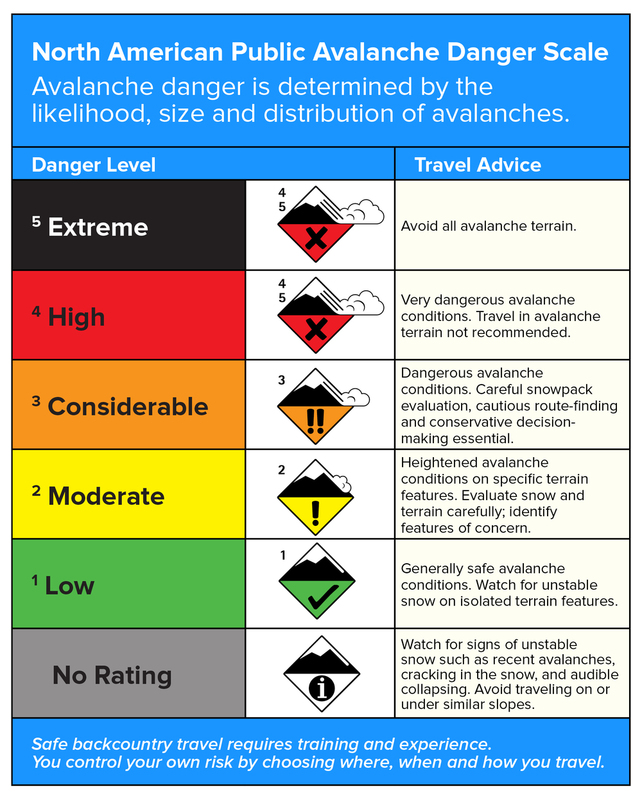 This is an archived avalanche forecast and expired on 03/25/2019 at midnight. New snow and wind from the weekend combined to create areas of wind slab in avalanche terrain. These wind slabs are gaining strength and increasing in stability, but human triggered avalanches remain possible today in the Presidential Range. An impressive avalanche in the Tuckerman Headwall shows the possible thickness of wind slab that is distributed in our terrain, particularly places directly in the lee of NW wind. Avalanche danger across the Range is MODERATE today; many slopes could produce an avalanche large enough to bury a person. 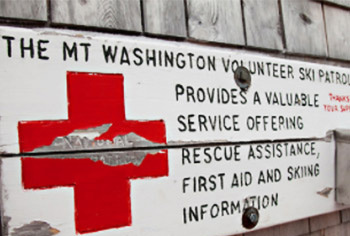 Huntington Ravine and the Left Side of Tuckerman both saw significant scouring on Saturday. 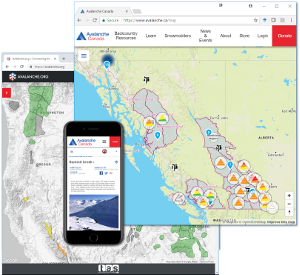 These locations have LOW avalanche danger and have areas of icy snow surface that should make you think about mitigating long, sliding falls. Wind from the west yesterday that stayed above 70 mph until early afternoon, resulting in blowing snow for most of the day. Light snow showers on the summit this this morning will bring a trace of snow before high pressure moves in to clear the skies for the next few days. 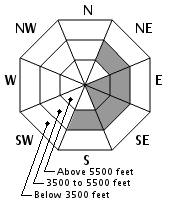 Northwest wind will blow in the 40-55 mph range and temperatures above 5500’ should stay below 10F. Lower elevations (below 3500’) will stay below freezing with temperatures climbing into the 20s F and light wind form the NW. Wind slabs that formed Saturday can be found on slopes on much of the eastern half of the compass. While these slabs do have an upside down structure, they are slowly losing the energy needed to propagate a crack. 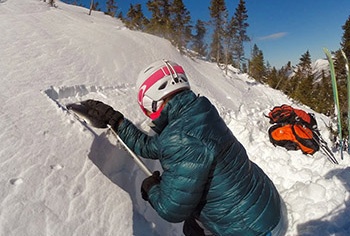 Be wary of these wind slabs in places where ski penetration increases or a hollow sound underfoot becomes prominent. New snow can be found below 3500’ and may have characteristics of wind slabs, but has gained more stability than snow at higher elevations. Clearing skies yesterday allowed us to see the results of Saturday’s High avalanche danger. 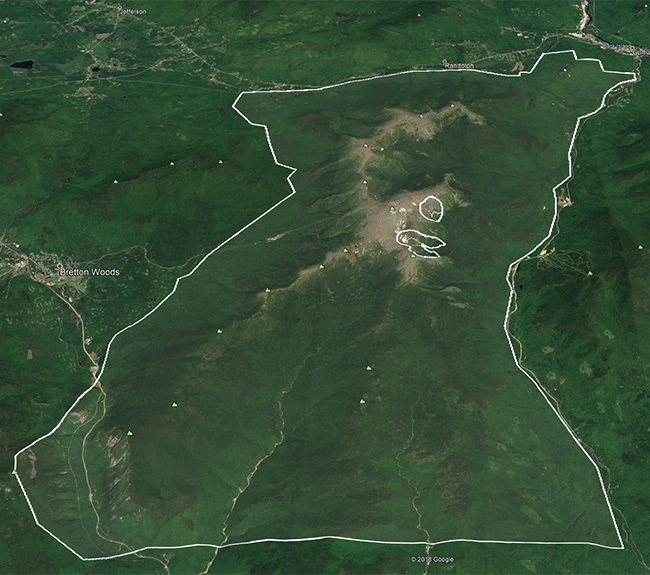 Most terrain had at least one cycle of storm slab avalanches that ran far into run out zones. This cycle likely occurred late Friday into Saturday morning. Saturday’s sustained wind then allowed new wind slab to build in areas in the lee of NW wind while some locations saw scouring down to the melt/freeze crust. This new wind slab is not the pencil hard slab we often see, but closer to one finger (1F) hard with thin layers of softer snow mixed in. Of the terrain seen yesterday, the Tuckerman Headwall was the only place that experienced a hard slab avalanche cycle, likely occurring sometime late on Saturday. This avalanche with a crown up to 6’ in places gives a good idea of the possible size of an avalanche that could be produced by the today’s avalanche problem. Posted 03/25/2019 at 7:01 AM.